This album spread captures the first look at a Berkeley Church wedding. For this unveiling, only the couple and the photographers were present. The photo on the left captures the exact moment when the bride and groom saw each other. 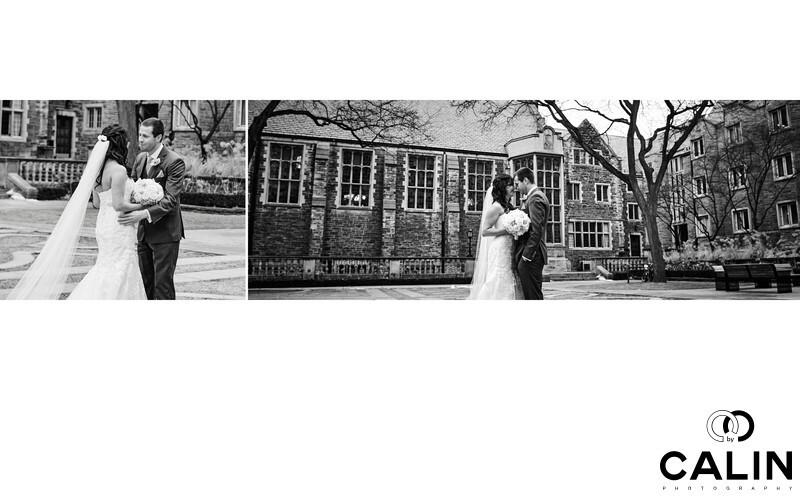 The image on the right was taken seconds later when the couple started hugging and kissing. and first looks can not be repeated. As such, catching the perfect expressions is important for the proper story telling of the wedding through strong images.